Exactly one year ago on Feb. 14, Marjory Stoneman Douglas High School was struck by tragedy. On Valentine’s Day 2018, a gunman later identified as Nikolas Cruz, a former student who had been recently expelled, opened fire on students and school employees, killing 17 and hospitalizing 17 more. The specifics of the incident have been discussed in length, but national coverage has died down as the spotlight faded away from the Parkland and refocused on more current acts of violence. 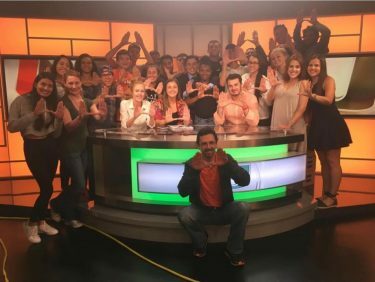 However, with the one year anniversary approaching, many University of Miami students are taking the time to look back at the year since the Parkland shooting. Sébastian Beaulieu, a freshman at UM with a double major in finance and economics, lived in Pembroke Pines at the time of the shooting, only a 30-minute drive from Parkland. He recounted the day of the tragedy and his experiences in the aftermath. Beaulieu said many of his friends and former teachers were “clearly emotional” over the violence and all of the lives lost. Beaulieu said he thinks the best way to prevent future shootings is to make it harder for people to access guns. 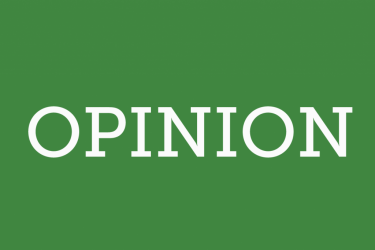 “My view is that those people out there with the responsibility and ability to handle a gun will be able to get them, regardless of the rules put in place to stop those who might want to hurt someone from getting them,” Beaulieu said. Waves of fear and shock emitted from Parkland’s devastating experience, with most South Florida residents touched in some way. Many of those who felt impacted chose to take action. 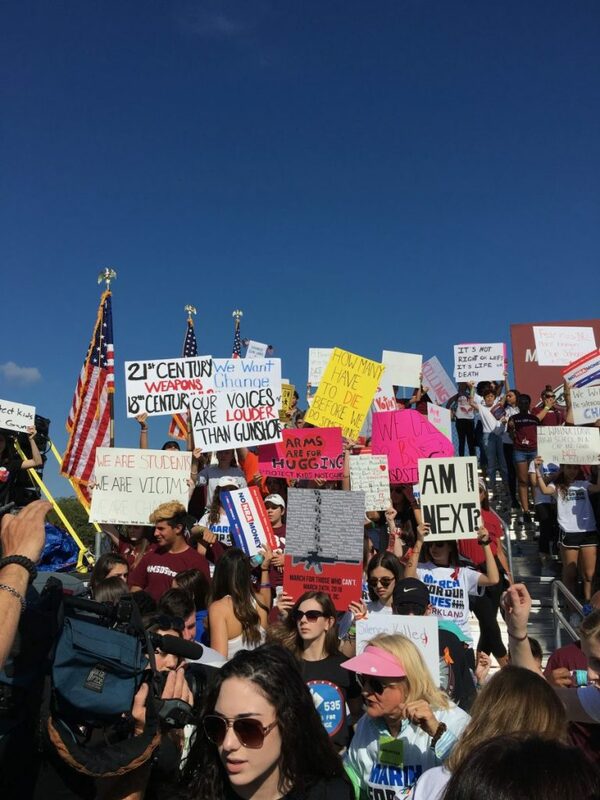 Parkland survivors vocalized and mobilized in a collective effort to bring social and governmental change not only to their community, but to the country as well. The March for Our Lives protest was a student-led demonstration aimed at promoting safety for students nationwide through preventative measures, placing emphasis on stricter gun control policies. First held on March 24, 2018, March for Our Lives now tours the country to bring attention to the matter still at hand. Speakers such as Emma Gonzalez, David Hogg and Cameron Kasky— three survivors of the Stoneman Douglas shooting— have used their newfound footing in the American spotlight to advocate for a safer future for all students. March for Our Lives is one of the many student-led organizations that have enabled the public to voice their beliefs. There have been substantial changes in Florida gun laws as a direct result of the Parkland shooting and the advocacy that came out of it. Three weeks after shooting, then-Governor Rick Scott signed into law the Marjory Stoneman Douglas High School Public Safety Act. Florida Senate Bill 7026 provided stricter gun regulations within Florida, including raising the minimum age to purchase a firearm to 21, up from 18. It also installed a three day waiting period for potential gun owners, along with a mandatory background check. But despite the success of the March for Our Lives, Parkland is still facing immense grief from the events of last year, Manning said. For Manning, it was difficult to come to terms with what happened. Liam McNeer, a freshman at UM majoring in film and computer science, was living in Miami at the time of the shooting. He said his feeling of security was immediately impacted and that his life view changed forever. 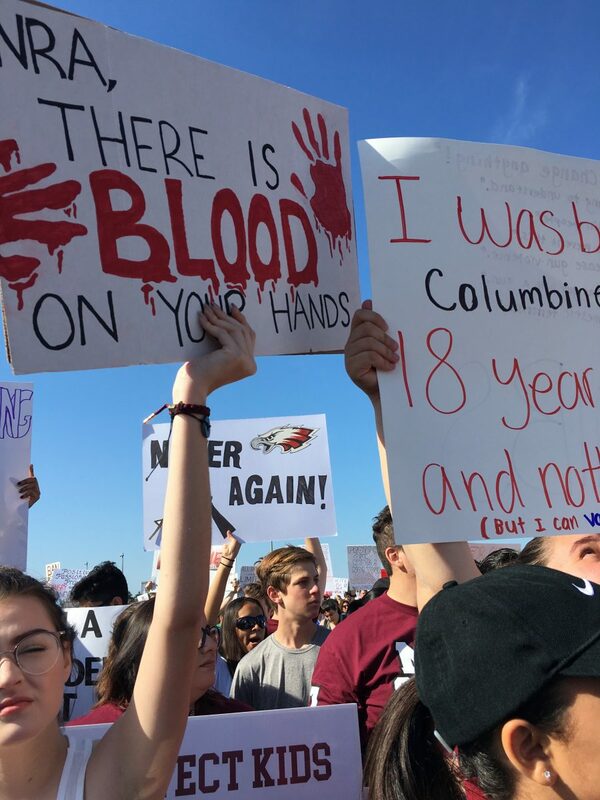 The months post-Parkland were characterized by a seismic shift in teenage opinion and activism, McNeer said, including within his own personal outlook. Students everywhere stood up and took notice after Parkland suffered from violence, and they seemed determined to leave lasting change in their wake. 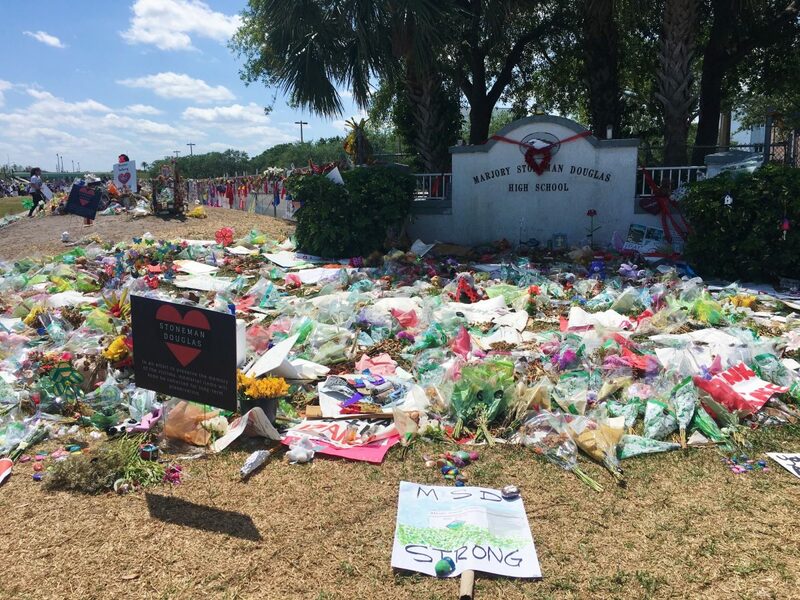 McNeer said he believes that Parkland took away so much and left behind an unforgettable mark. Tragic timeline: Florida mass shootings since Parkland on Feb. 14, 2018. Minimum age to buy a long gun: The bill raised the minimum age to purchase a long gun to 21 from 18. The federal age to purchase a shotgun or rifle remains at 18. New waiting period: The law requires most gun-purchasers to wait three days or until a background check is completed, whichever comes sooner. However, exceptions are made for licensed hunters and concealed carriers, police officers and military members. Bump-stock ban: Bump stocks are devices that attach to rifles and make the weapon easier and faster to fire, essentially turning a legal semi automatic gun into an illegal automatic gun. On December 18, 2018, the Trump administration proposed a federal bump-stock ban. Mental competency test: The bill prevents a person who has spent time in a mental hospital from possessing a firearm until the court rules that he or she is stable enough to safely access to firearms. Risk protection order: The bill also includes a provision that allows law enforcement officials, with the approval of a judge, to bar a person from owning a gun for up to a year if the person is deemed a danger to themselves or others. School officer requirement: The law also requires each district school board to assign one or more safe-school police officers at each school in their jurisdiction. “Guardian” program: This initiative allows school superintendents and county sheriffs to arm employees who volunteer to undergo gun-safety training. Full-time classroom teachers are not included in the program, but other personnel are allowed to join, such as librarians, counselors and coaches. President Trump has come out in support of a similar plan on the national level. Feb. 21, 2018: Marjory Stoneman Douglas students confronted Sen. Marco Rubio (R-Florida), Sen. Bill Nelson (D-Florida), Rep. Ted Deutch (D-Florida), Broward County Sheriff Scott Israel and NRA spokeswoman Dana Loesch about passing new gun laws that ban assault rifles. March 24, 2018: The March For Our Lives movement executes protests in many cities across the nations, including Miami. April 20, 2018: A nationwide school walkout brings protests directly to schools. Summer 2018: As part of the March For Our Lives: Road to Change campaign, students involved in March of Our Lives made stops in 24 different cities to encourage people to registered to vote and educated them about gun safety. Fall 2018: The March For Our Lives: Road to Change students continued the bus tour up until election day, calling for leaders who will resist NRA money and pass stricter gun laws. Rebecca Goddard and Naomi Feinstein contributed to this reporting.